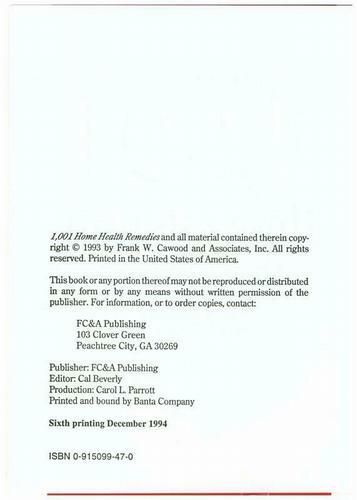 1,00l Home Health Remedies and all material contained therein copyright © 1993 by Frank W. Cawood and Associates, Inc. All rights reserved. Printed in the United States of America. 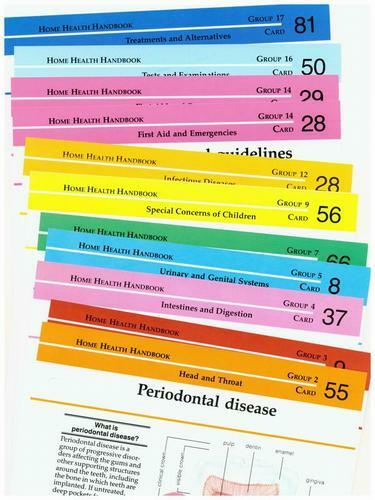 Includes 12 loose pages from "Easy To Use Medical Guide" showing information on conditions such as, "Periodontal Disease", "Stroke", and "Lyme Disease." Book is Hard Bound. 8vo - 7¾" - 9¾" Tall. xxi/599 pages. Color illustrated boards. The book is in Very Good to Excellent condition. 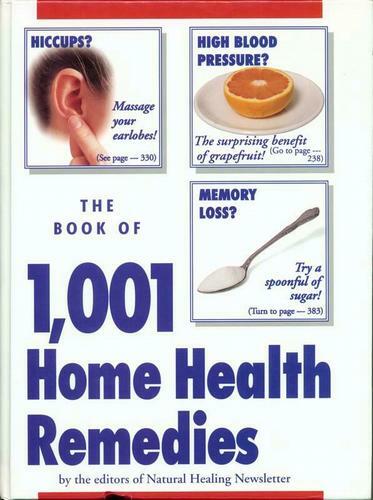 The pages are clean and smooth with no tears or creases. The front board has a small "dent" at the bottom (see image).